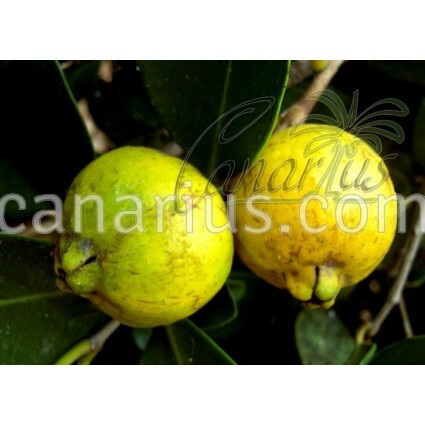 A relative of the true guava with smaller fruits. It is 2-5 m tall, suitable for pots and can be pruned low. It takes frost to about -4 C, so it is suitable for Mediterranean gardens. A relative of the true guava with smaller fruits. 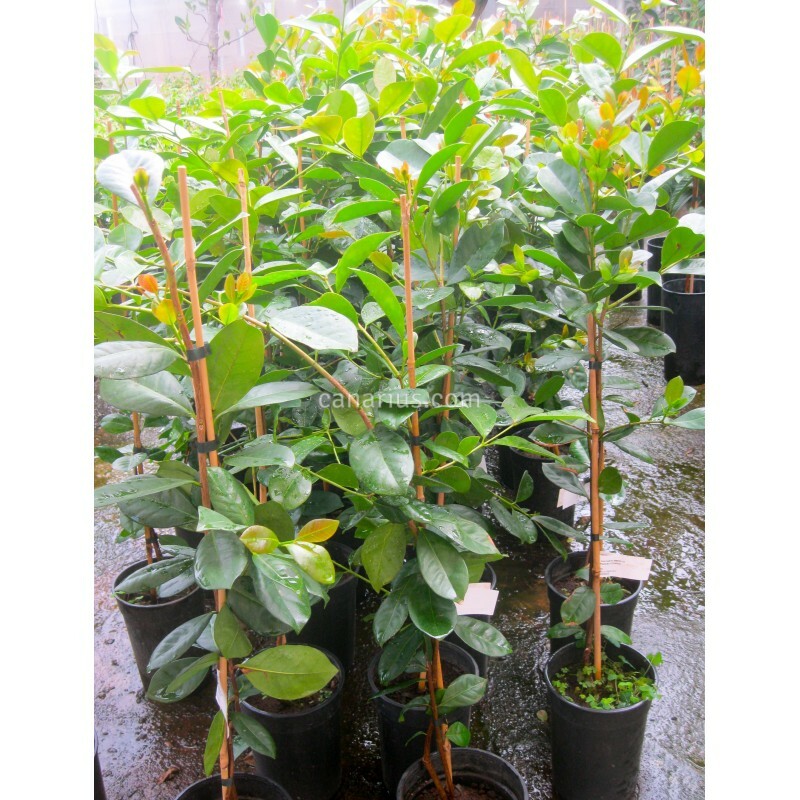 It is 2-5 m tall, suitable for pots and can be pruned low as a small shrub or hedge. This yellow fruited form of Psidium cattleianum takes frost to about -4 C so it is perfect for Mediterranean orchards and gardens. 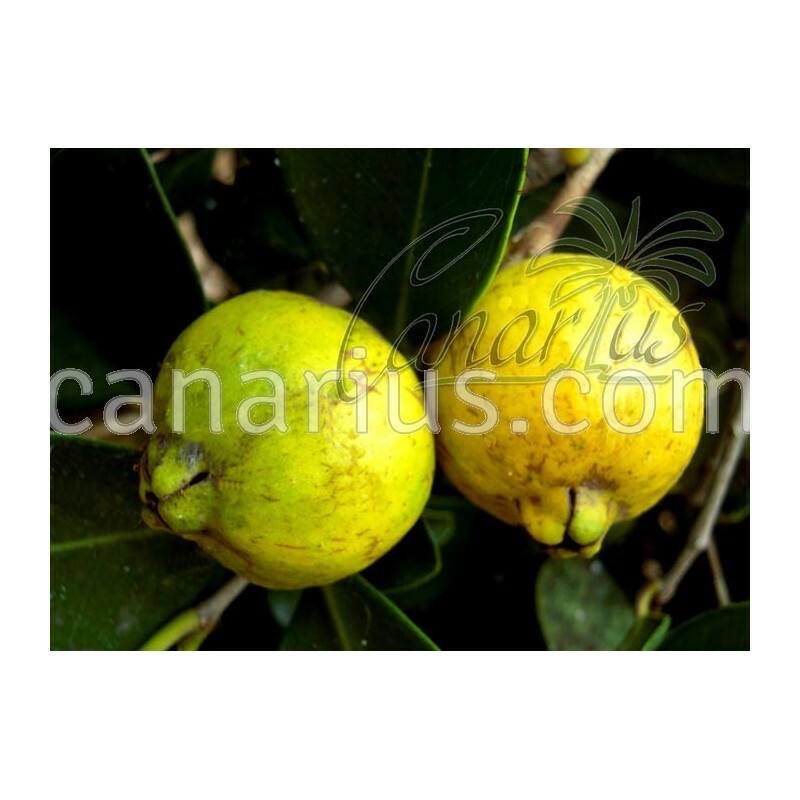 It has glossy ornamental leaves and round, beautiful flavourful fruits, often used in sorbets or sauces and drinks. Very rich in Vitamin C.
Our plants are 40-70 cm tall, potted, at least one year old. Height is variable but we will always try to ship the strongest plants, well rooted in their pots.